Fish is a very nutritious food that is a good source of protein. However, a healthy food can turn bad if you happen to buy a not so fresh fish. You will surely enjoy a delicious fish dish when it comes from a fresh source. Check the eyes of the fish. This is the easiest way to decide if a fish is fresh. A fresh fish has eyes that are bright, clear and bulge slightly. Eyes that are dull or gray, or if you observed it to be cloudy means the fish is past its prime. The scales are shiny, even in color and clean looking. Patchy and dull scales indicate the fish is no longer fresh. Look for firm and shiny flesh. Fresh fish should look clean and luminous. Try to press the fish if the vendor allows you. 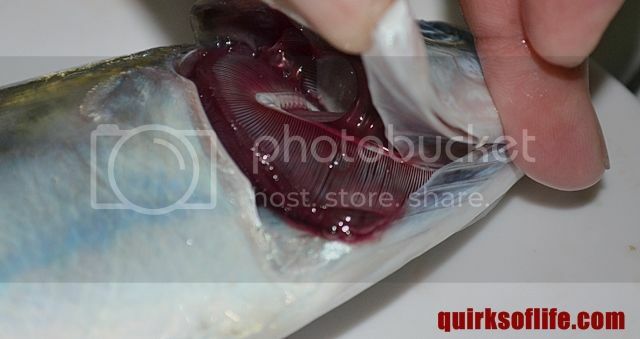 The fish meat should be firm and will bounce back when you touch it. The indentation of your finger should not be visible after you withdraw your fingers. A fresh fish smell should be like the odor of the ocean breeze and not “fishy”. It is better to stay away from fish that smell bad. No matter how you prepare and cook it, the result will not be good. These should be bright red or pink, wet and not slimy. Avoid fish with slime and pale gills because bacteria can be present on them. Happy buying your fresh fish! For updates follow QuirksofLife in Facebook!